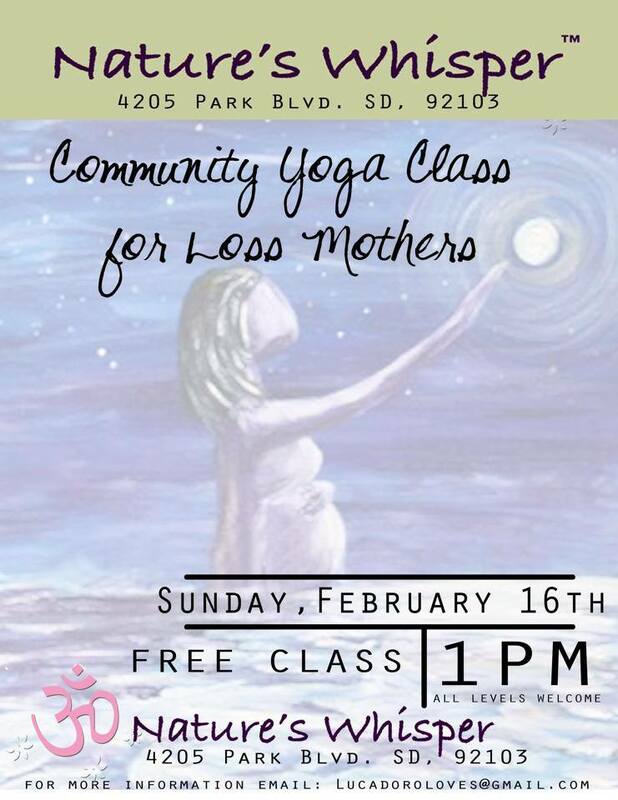 Once a month, including this Sunday, Nature’s Whisper School of Yoga, offers a community yoga class for parents, especially mothers, who have experienced the loss of a baby. This free class is available for mothers who have experienced the loss of a child; offering a place for mother’s to move, and let the feelings of love and grief co-exist in a safe space together. This is a beginner class, and focuses on breath and movement, and hoping to connect women who are experiencing the deep grief of the death of a child, no matter how distant or recent the loss.